I am excited to finally interview Detola Amure, Founder of Super Working Mum. When I interviewed Doyin Omotara of Adoniaa Beauty and Mosope Idowu of Bethel Fit Mum, they both referred to Detola as their coach and mentor, I knew I had to meet her and share her journey and process. Read about how she helps women maximize their time and manifest their dreams! The Brazen Closet: Why the name Super working Mum and what does it mean? Detola: A Super working mum is one who relies on God’s supernatural strength to do all she needs to do. Achieving her purpose while being a wife, mother and everything else she needs to be and not a woman in a cape. The Brazen Closet: What did you do before that? Detola: I studied Computer Science and worked as a Business Analyst for about 10 years. I did that till December 2015, when I went into my business full time. The Brazen Closet: How did you make the transition from your job to full time business? Detola: I first got the idea in 2011 and it all started out as a blog. I realized I loved writing and encouraging women. While still working full time, I launched my business, I did it part time and juggled it with my full time job. I then got laid off in 2013 when I was pregnant with my son and it was quite demoralizing and depressing for me. I realized that I had tied my identity to my job and it was a really difficult time. I gradually got over that, because I knew I needed to do something and that’s when I started my business full time. I started working full time on my business and did that for about 19 months, and then I got a job offer and went back to work. But by January 2015, I began to get restless again and I knew it was time to go back to running my business full-time. The timing was right and when I took the leap I had that peace of mind that I was doing the right thing and I also had my husband’s support which was great and I went for it. The Brazen Closet: What have you been able to achieve with Super Working Mum? Detola: Like I said, I started out as a blog where I was encouraging moms on how to juggle life, kids, work, faith and everything else. With time, women started contacting me to help them and I did this for free for a while. But things gradually evolved and I was able to start charging for my work and transition from a hobby to a business, where I was coaching women on how to manage their time. Time and self management are key to getting organized and prioritize what is truly important. I was coaching women who were really stuck in a rut. They were helping everyone else and not living the life that God called them to. So far, by God’s grace, I've been able to empower moms to actually live out their dreams and still be an amazing mom and wife, and not neglect themselves. As women have worked with me, they have also grown spiritually. From my experience, I have found that the conversation starts with them wanting a career change or to start a business. But by the time we delve in deeper, we find that it's not just about the job or business, that is just the surface. There's a lot going on internally and we work through it together. This is where the supernatural comes in, and they begin to truly transform. They become better mums, sisters, friends and wives. Their husbands also notice these changes in them as a result of them stepping out and working on themselves. The Brazen Closet: How do you help women move forward in their lives and fulfil their purpose? Detola: I believe every woman has their God given dreams and with this, no two women are the same. That is exactly how I help women, knowing they are coming from different backgrounds and experiences and knowing their purpose will be unique. With the guidance of The Holy Spirit, I can truly guide them towards what God has called them to do and be. Asking the difficult questions that dives deep into issues that sometimes even they are not aware of or they have struggled with for a long time. This, I believe is what really brings about the transformation, and you just can’t fake that. The Brazen Closet: What do you know now that you wish you knew when you were starting? Detola: I wish I had invested in myself from the onset. I knew my gifts, like writing, encouraging, inspiring and teaching others but I had no idea how to pull it all into a cohesive package. So for a long time, even though I enjoyed it and helping women for free, I knew that if this was going to be a business then I had to be able to present and package my skills in such a way that people would want to pay for what I was offering. It took me a while to realize that I needed to actually invest in myself, by getting a paid coach that would help me. For a year, I tried to do things myself, I went for free webinars and events and of course tried to Google my way through everything. But there was so much conflicting information. I would find new information, try it out and realize it wasn’t working for me. I would scrap it and start again from scratch. I was just going around in circles. But after I lost my job, I knew there had to be a change and if it was going to be a business, I had to get serious and pay a coach to help me. The Brazen Closet: What motivates you to keep going? Detola: The main thing that motivates me is knowing that helping women is truly my God given purpose. For women to realize their own purpose as well and not shy away from their gifts and talents. I also get very motivated when I hear back from my ladies, saying how much their lives have changed from working with me, that just encourages me to do more. The progress and transformation is truly special. I also have a community called Super Working Mum Academy, and seeing the amazing things the women there are doing, keeps me motivated. The Brazen Closet: Tell me more about the Super Working Mum Academy. Detola: The academy is a community of like minded women who are supporting and learning from each other. One of the best things about the academy, is knowing that you’re not alone. A lot of women think they’re alone especially when they are going through tough times. You may think or feel that the situation is peculiar to you, but when you reach out to other like minded women, and they share their experiences and how they dealt with the situation, it goes a very long way. They find ways to support and encourage you, call and visit you in person if possible; it is truly phenomenal. There is a transparency, honesty and genuineness in the group, it really shows we are in this together, and that helps women thrive and grow. They are also quick to offer their professional expertise and offer practical solutions or they find someone within their network that can help. The Brazen Closet: Can you tell me about the different events organized by Super Working Mum? Detola: We have retreats and conferences every year. The retreat is a two-day weekend for mums to have a kid-free, husband-free time to themselves to recharge and refocus. The funny thing is when I got the idea to do this, I told a friend and she discouraged me saying women would never leave their families for two whole days, no one will come. Why not do conferences instead. So for a while I did not pursue this and I knew something was missing. When I eventually decided that this was my mandate and I had to do it, I started the planning and put out the event information. Within days, 22 women had registered and I was really shocked. That experience really taught me that you should never assume, always test because you just never know. When you put it out, you get feedback, go back to the drawing board tweak it, change it and try again. 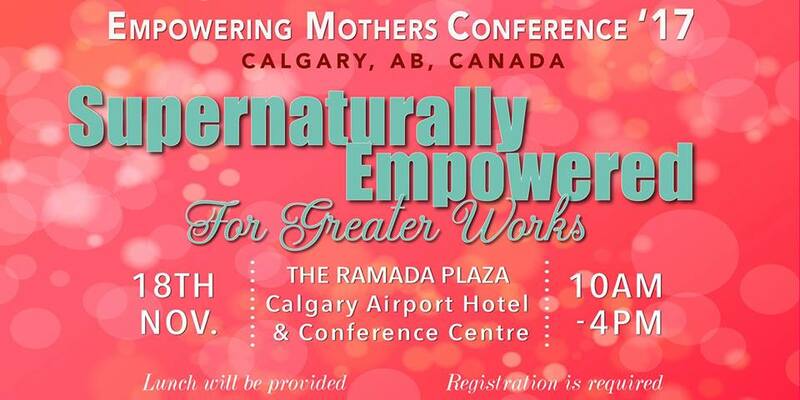 For the conferences, The Empowering Mothers’ Conference is a subsidiary of Super Working Mum, it is a free conference we host every year, for women to come together in the same room to be empowered to be their best. It is a way to also meet women in person and interact, because a lot of my work is online. We’ve had two conferences in the UK, one last year and the second this past September. I had written on my vision board for 2017 that I wanted a conference in Canada this year. I’m so grateful that it is finally here. Huge thanks to the Super Working Mum Academy members based in Canada. The Brazen Closet: Can you tell me more about the upcoming conference in Calgary. Detola: It is a free (pre-registered) event and we're expecting about 50 women. The theme this year is "How to be empowered for greater works". There's so much God wants to do in women’s lives and how we can be empowered. It’s not just about our jobs, business, children or spouse; but how to be effective in God’s kingdom and how to be empowered to do what God has called us to do. There is also going to be a panel discussion, where more experienced women will be talking about their journeys. 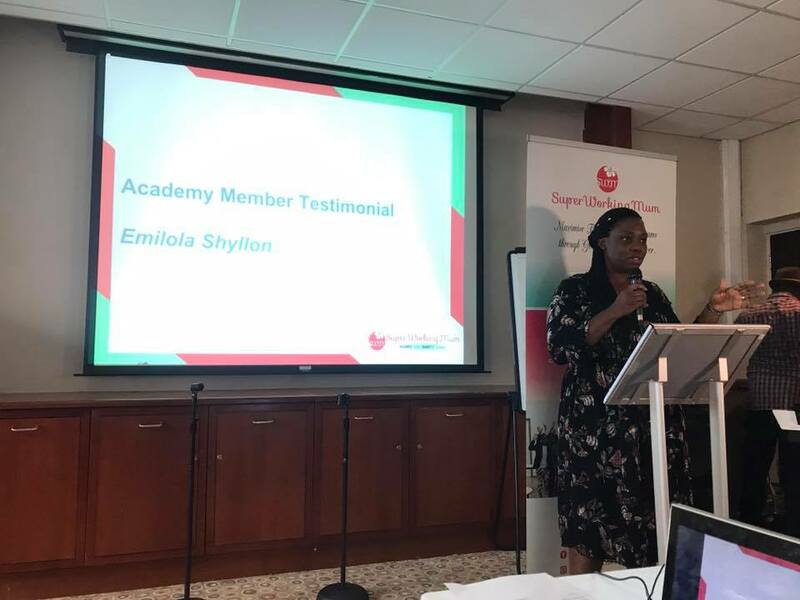 There are also going to be exhibitors, some of whom are members of the Super Working Mum Academy, showcasing some of their products and services and sharing their journey in the academy. And of course lunch will be served. I am really excited for the conference! The Brazen Closet: Is there anything else you want to add? 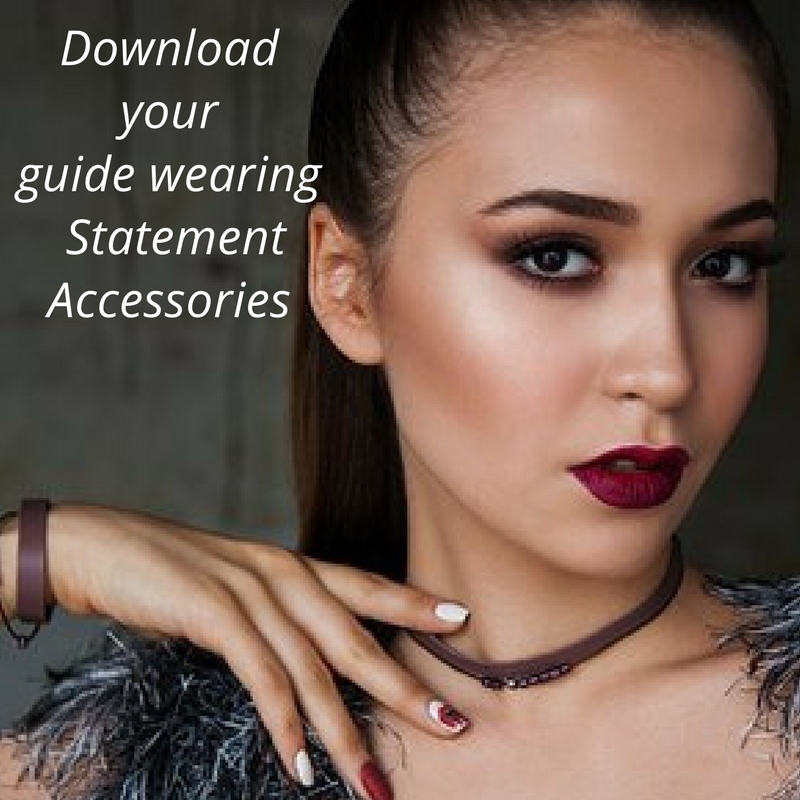 Detola: I would just like to encourage every woman out there who is feeling a bit overwhelmed with life, I would like to encourage them not to give up. I feel like I'm about to preach now, I want them to know that Jesus loves them and wants to hold their hands through whatever it is they are going through if they would allow Him. It can be tough being a wife, a mom, having to juggle everything. They are not alone!